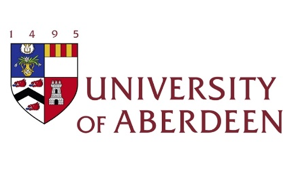 On 4 July 2018, our dear colleague and former PhD Student here at the University of Aberdeen, Hanifi Baris, was arrested by the Turkish police for allegedly posting “criminal content” to social media. Earlier this week we were able to communicate your support with Hanifi, and some of us were able to write personal letters of support to him. In turn, we are extremely happy to receive responses from our dear friend, who first and foremost thanked everyone for the tremendous outpouring of public support. Dear Eve, Wendy, Anna, Rose, Saerom, Chuck, Marek, Trevor, Emillio, Camilo, Alba and Sara, Karin, Rachel, Andrea, Ulisses, and Engin…. Dearest friends, I wish I could write you separately, but I can only say hello to all of you at once now. I am delighted and ecstatic for having received your thoughtful and lovely messages. Thank you! Thank you! Thank you! This is the first time that I feel a big smile on my face since I have been arrested. Your messages, support and solidarity have filled my heart with a profound joy and love. I can almost touch my smile and the joy within. And I am sure this wonderful feeling won’t fade away when I am back in my cell; your thoughts, words, friendship, love, love, and love will inspire me and keep me warm for the rest of my days. I love you all! Though its with the warmest feelings that we share these words from Hanifi, we are still very concerned about him. If you would like to help raise awareness, flyers are available here and should be printed double-sided on A4. Further actions have been planned and will be announced following news of Hanifi’s status. If you would like to feature Hanifi’s story, please email CISRUL PhD Eve. Most importantly, please sign and share the petition and this article using #FreeHanifi and#HanifiyeÖzgürlük and encourage colleagues and friends to do the same.